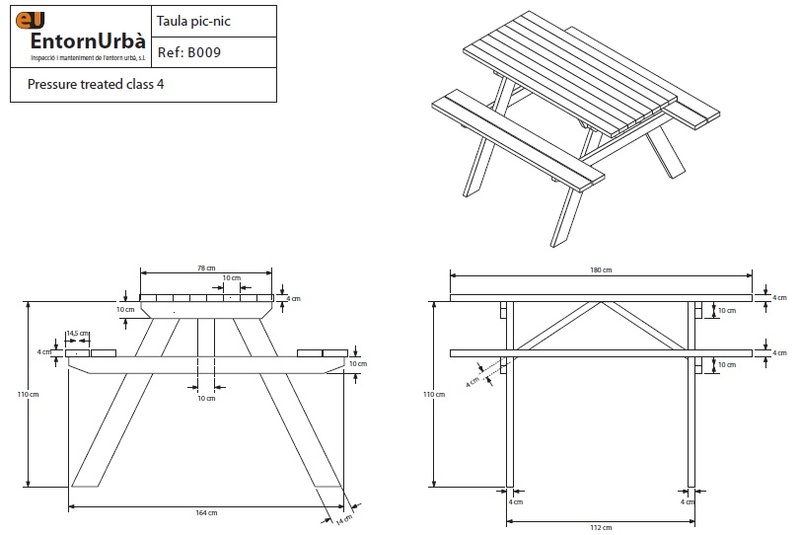 Picnic table, fence - Demands and Offers for wood and wood products. ID 460063 We are a company from Spain dealing with garden products for playground areas. We are interested in finding a reliable supplier for our products. Please find attached technical drawings of 2 products which we are looking for. Pine or spruce wood. Autoclave treatment, klass 4. Top grade wood quality, planned, polished with rounded edges (all edges). Without wood knots. Well dried. Stainless steel screws and nuts where necessary. Quantity: 1 full truck per month mixing products. Packing: table flat packed on palet like attached document. 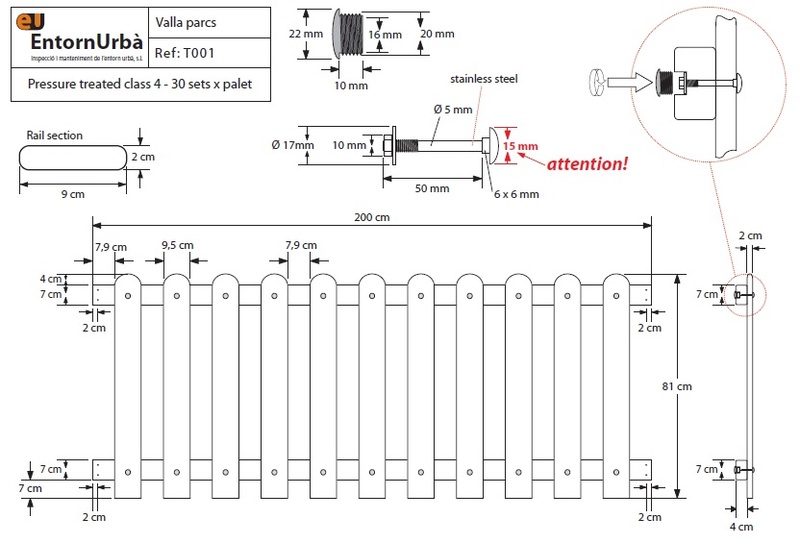 Fence assembled in 2 metres sets with stainless steel bolts and nuts on palet. We are already buying in Eastern Europe and we know quite well the market. We are a company from Spain dealing with garden products for playground areas.